Located in Chapel Hill, Paperbark Bed & Breakfast is within a 10-minute drive of Indooroopilly Shopping Centre and Mt Coot-Tha Gardens. 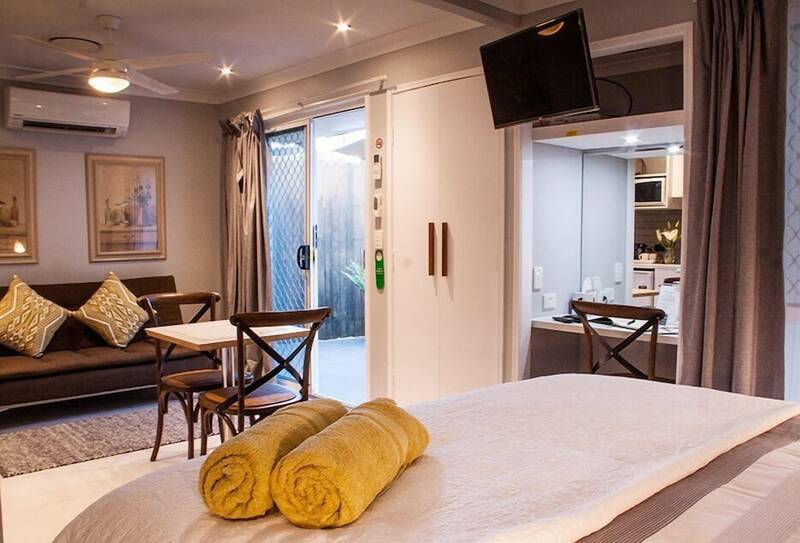 This 4.5-star bed & breakfast is 4.3 mi (6.8 km) from Lone Pine Koala Sanctuary and 4.7 mi (7.6 km) from Sir Thomas Brisbane Planetarium. Make yourself at home in one of the 2 air-conditioned rooms featuring kitchenettes with refrigerators and microwaves. Rooms have private furnished patios. Flat-screen televisions with cable programming provide entertainment, while complimentary wireless Internet access keeps you connected. Conveniences include desks and coffee/tea makers, and housekeeping is provided daily. Enjoy recreation amenities such as an outdoor pool or take in the view from a garden. Additional amenities at this bed & breakfast include complimentary wireless Internet access, barbecue grills, and a reception hall. A complimentary full breakfast is served daily from 6:30 AM to 9 AM.